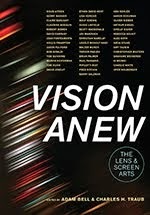 I'm honored to be included among this year's contributors to photo-eye's annual Best of 2012 list. I've included my selections below, along with a few extras. Read the rest of the selections by Martin Parr, Aaron Schuman, John Gossage, Alec Soth, Natasha Egan and many more here. Full of curiosity, romantic longing and mystical reverie, Lange’s book resembles a children’s alphabet book as reimagined by Minor White and E.O. Wilson. A haunting and poetic daydream, Cantanese’s book joins company with a growing listing of smartly edited books of vernacular photography. A perplexing book whose free-floating and daring design suggests either a scrolling website or a carefully curated studio wall, Puklus’ Handbook to the Stars mixes oddly constructed still-lives with sharply observed details. Jude’s work asks provocative questions about the relationship between photographs, personal experience and knowledge, as well as our persistent desire to understand images in spite of their maddeningly murky nature. 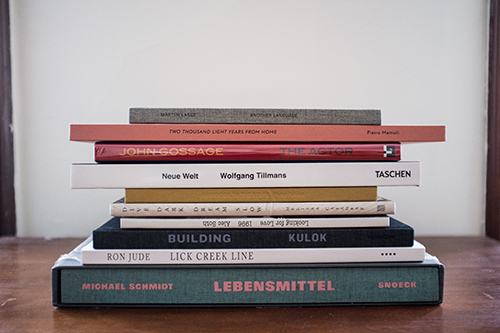 Tillman’s fourth monograph with Taschen reminds us once again that Die Welt ist schön. The restless and protean Graham takes to the streets of New York City and pushes the grammar of photography to new places. The 10th book in Wolberger's book series is a strange and haunting exploration of injury and the lengths we go to fix what is broken. Subotzky turns his retrospective on its head. A long out-of-print classic by the master photographer and pioneer of color photography beautifully reprinted and brought back to life. A seemingly simple story about pictures shrouded in fog. As a new father myself, I quickly warmed me to this delightful and slightly unsettling little book. Shifting through private and collective memories, Abrams reveals the mundane reality and repressed fantasies at the heart of a prototypical American town. J Carrier's new book explores the unseen and unspoken consequences of migration, exile and displacement with intelligence and sophistication.